If you recently watched the Westminster Dog Show, you may have seen the field dominated by Border Collies and Shetland Sheepdogs. But with agility being one of the fastest growing dog sports, you will soon find out that dogs of all breeds and sizes compete. But if you are like me, and have a love for small or “lap dogs” don’t worry, you can have fun too! Even if you never plan to compete, agility can be a fun way to bond with your dog. It is also great exercise for you too! 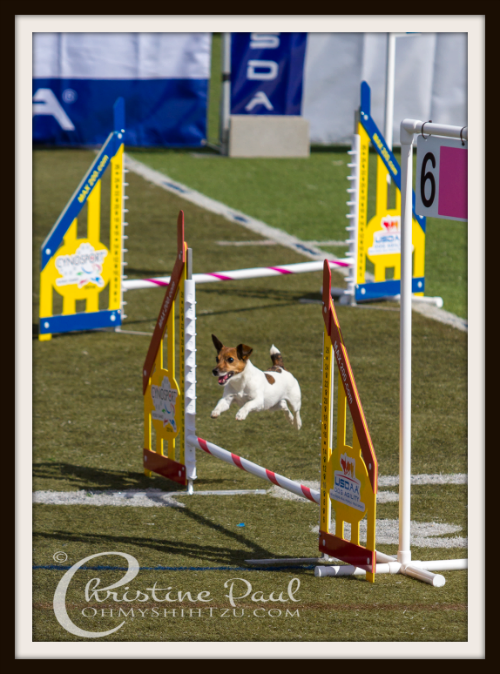 See our post Small Dog Agility: 4 Reasons to Participate, on why we think this is the best sport in the world! 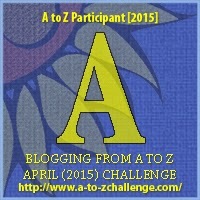 Today we are kicking off our theme AGILITY for the 2015 A to Z Challenge. During the next month our posts will surround the sport of agility! From the equipment you can make for your own backyard to _____, well that is a little surprise. So be sure to subscribe so you don’t miss a post! We are happy to be joining Wordless Wednesday, hosted by BlogPaws! Be sure to check out all the wonderful pet bloggers joining in today! Although I write about cats, I was brought up with both cats and dogs (and guinea pigs, mice, rabbits etc etc!). Dogs are so intelligent and I love watching dog agility classes. There should be more of them on TV in my opinion. Hey you jump really high. We love dog and rabbit agility sports. Our house rabbits zoom right over their ex-pens sometimes just to get to something extra yummy. Please visit us and see the 10 things we learned about pet rabbits. Happy hopping. DIY agility equipment for our own backyard??! Now I’m hooked already! Looking forward to the posts! Barbara Rivers recently posted…April Pet Events ~ Pet First Aid & Heartworm Awareness, Dog Fighting Day & many more! Really looking forward to reading your posts! Hope to get started in agility with Luna this Spring or Summer. Great shot! Agility is something I want to do after my Puppy S.T.A.R. class! We agree that it is the one of the best things you can do with your dog! Glad to see that your little pup loves it too! I used to enjoy agility for fun, still do actually. No convenient competitions around if you live in really rural areas. Which I do. Nice post, have fun with the challenge, we’ll be hanging in there with you! We used agility as a way to get my reactive dog used to new things, and also to give my terrier something to do. We never competed, but it was lots of fun. Happy ‘A day’!!! And we ADORE agility to bits!!! I love agility! i also love that you are doing it with atypical agility breeds. 🙂 I took a couple classes with one of my Frenchies and hope to start my girl in agility soon. They love it!